But, I was glued to the laptop watching mom vlogs. It was like this new world of moms who had videos about organizing, cooking, DIY and more. 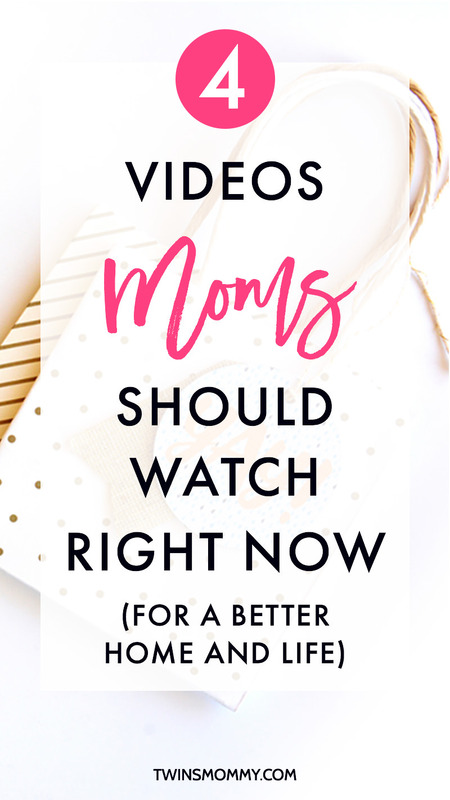 And since I wasn’t even thinking about having a mom blog or even trying to make money, I was happy to watch these videos and learn from other moms. Because isn’t that what we’re all doing? Learning to have a better business, blog, home and life? 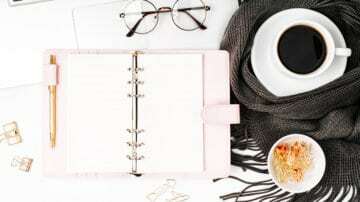 You want the best tips to grow your blog or the best tips to be more productive and YouTube mamas can totally help you out. Life before being a mompreneur was totally different. I was – and still am – a stay-at-home mom and while my house was probably more cleaner during that time, I wasn’t completely fulfilled. I knew I didn’t want to go back to work because I really wanted to stay home and well, daycare is uber expensive for twins (there are no twofer deals!). But, at the same time, I knew I didn’t want my entire existence devoted to cleaning up messes, changing diapers and playing blocks all day. I needed more. And these YouTube moms really helped me fulfill my creativity during the time before I started freelancing writing and making money online. In particular, there are two YouTube moms I really resonated with. The first is Cas from Clutterbug. I have no idea how I found out about her, but the fact that she’s in Canada (and so am I) instantly made me like her. Oh, and the fact that she makes me laugh a whole hella lot is another reason! While her YouTube channel is focused on organizing tips, she does have great videos on play, crafts, cooking and day-in-the-life videos. Her blog is the same and she also has podcasts too that are worth a listen. Check out these two videos that I absolutely love. The first is a video on five laundry hacks! Genius! Anything to make laundry go faster. The second video is a day-in-the-life and I heart it soo much! You have to watch it. The second set of videos are from Kathryn of Do It on a Dime. She also has a blog too! She has the BEST videos on hacks and doing it on a budget too. She recently had a baby and she’s still pumping out videos on both her channels! You go mama! The first video about being more productive spoke to me when I recently caught up with these YouTube mamas after two years! Since I’m also working from home and trying to grow this blog, I have very limited time. 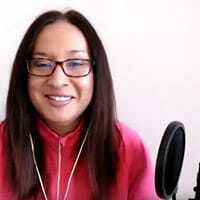 I love her approach to being more productive so be sure to check out her video if you want more tips on being productive. Her second video is an awesome Pottery Barn hack that you can do with products form the Dollar Store. It’s awesome! For two years now I’ve been focused on digital marketing for my blogs and freelance writing. If the dishes didn’t get done right away, no big deal. If the garden needed harvesting, it could wait another day. If my closet hasn’t been organized in years, what’s another six months? These little things add up when you’re trying to grow your brand and blogging empire. That’s why it’s important to take that time and get back to being the mom that went to the craft store to decorate their living room. Or the mom that went to the library to pick up a trashy romance novel – not a business book – to read on the back deck during a nap time. 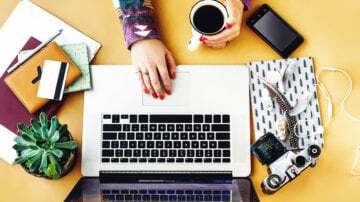 Over to you – how do you balance being a mom and mompreneur? Oh, and do you follow any YouTube mamas? Share their channels in the comments. I know, although they’re great to watch, sometimes you have to turn it off and be productive. You can watch for hours! I love TouTube! It can be so easy to get lost in the videos. These ladies are awesome, thanks for sharing! I know, right! That’s ALL I did before I started freelance writing. When my twins napped I just watched videos. But after a while, I started to feel unproductive, so I started freelancing! I love YouTube and can often get caught up in all the great videos! I’ve been watching Kathryn of Do It on a Dime and she has such great tips. Her videos are filled with so much information and I love her personality too. I haven’t checked out her blog yet but am planning on to soon! Yes YouTube was my thang before I became a freelance writer. I could seriously waste a nap watching mom vlogs! Seriously! But these two ladies are so awesome at what they do and I’ve been watching them for years. Great stuff! so, i just found your blog, but i have to say i’m loving it! these were great! i was LOL at the second video. Thanks so much and yes the second video is hilarious amiright? Yeah I know right? Super easy and fun to do. Love Kathryn’s vlog and her hacks. Congrats on your baby on the way. Happy to hear you found some great posts to read. If you need any help with setting up your blog just email me! 🙂 I love helping mamas out. Thanks so much. Glad you enjoyed the videos. Cass and Kathryn rock! I don’t follow any YouTube moms, but I may need to start! I really liked learning the laundry hacks – like that lost sock bag! Little tips like this really make life easier!! And the whole “brain dump” idea from the productivity video is something I should definitely begin doing. 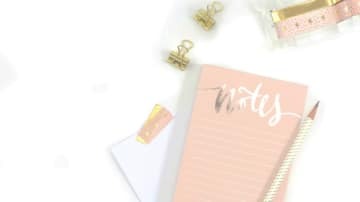 I am more productive when I have a list of 3-5 things to do for my day…but I tend to forget things I need to do if I don’t write them down, just as she says. That’s great you found some good YouTube mamas to follow. I love these two ladies! They have the best organizing and DIY tips that I know of! I don’t follow any moms on Youtube but these videos are great! Love the productivity tips, I’m going to try something similar to that planner. It sounds really helpful. I’m not great at the balance. My husband is quite helpful – we share cooking, dishes, laundry – he loves to mop (which is great when you’ve got a crawling nearly 1 year old). I try to take my boy out every day, at least to the park. It’s good for both of us to get some fresh air and be out of the house!